“Fifty years of public service”, my father sighed. His hand moved slowly, tracing the edge of the crystal bowl. Through the window I could see the naked branches of our oak sway with a persistent wind. The rain had ceased and even the magpies were silent. From far away I could hear a door being slammed shut. I couldn’t look him in his eyes. As a son I couldn’t face my father’s tears. “Can I make you some tea?”, I asked. “Forced retirement…” he sighed again. 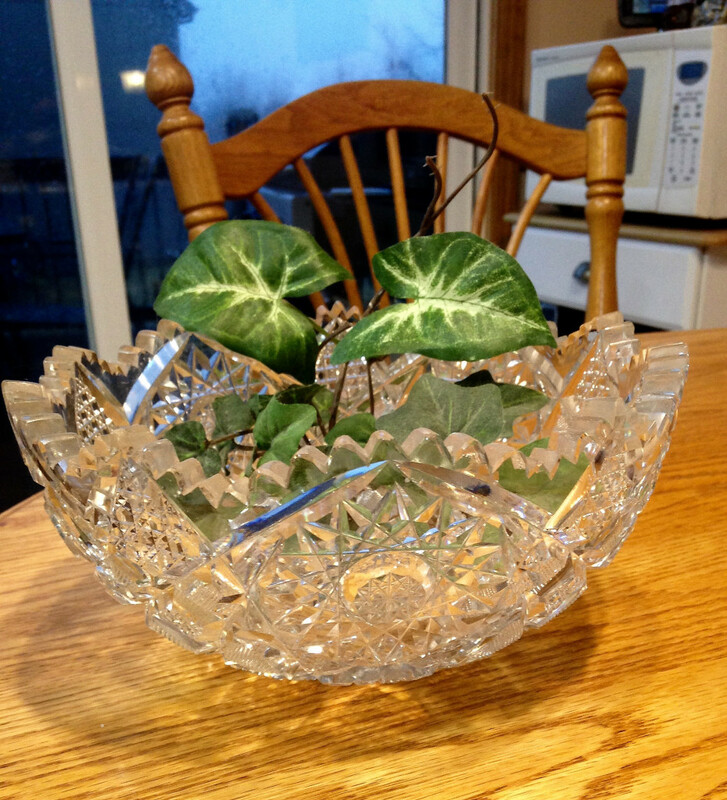 I remember the crystal bowl my father got after fifty years (?) of public service, but he was not forced to retire. I wonder how he would have reacted to that? I feel sad for him. My father retired recently and he loved his job. You captured that sadness in the words quite effectively. Oh, I am sorry to hear that. Such an emotional piece. I remember my own dad retiring after 25 years and he could choose something from a catalogue! My mum chose some posh china for him. Ha. Sounds a lot better… though fancy china is maybe not what he really wanted. A really touching memory and story. I hope your father was well remembered beyond his years of service. Thank you… I actually tried to think how I would act… and looking away would be exactly that human reaction. Forced retirement, is that a P.C. way of saying sacked or fired? Feel sorry for him, he seems at a loss. Such a touching story, very well told. “They didn’t even spell my name right…” Very telling statement about the coldness of corporations. Glad this didn’t really happen to your father. He did get his crystal bowl though.. Yes, servitude has little value now, we are just cogs in the wheel. Progress – I think not – how valueless we are now..
i am sad that your dad did not survive retiring. For me, it has opened a door. I hope that I will retire in happiness too. Your use of the misspelled name and magpies enhance the depression (? ), sorrow (? ), of the father. Nicely told. 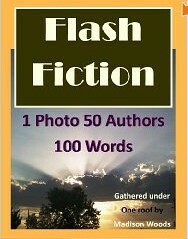 That’s what so fun with flash fiction… you have to capture the essence in just such simple images. A sorrowful ale indeed, but at least he didn’t get run over by a bus as did my crystal bowl retiree! I hope that there is no bus in the next installment. There are so many great aspects to this. You showed the feelings of both extremely well. I think that has been the case traditionally… I hope it’s changing… but maybe it will be women feeling useless instead. You caught the mood – especially the shock at this turn of events. A bowl after 50 years of service… I’m not sure how I’d react. I think a bowl or a clock is quite normal… I got a gift card for a small amount after 20 years…. It goes to show that appreciation can only only be measured in grateful hearts and genuine smiles. I know the feeling…seems a bit hollow in comparison to a lifetime of giving. I worked for 27 years as a volunteer… I got a thin little blanket with a seal on it. Hardly compares…. just saying. You did a great job of capturing that feeling. Thank you… I wanted to make the voice a bit more solemn this time… playing with small signs instead of big drama. And there is nothing wrong with that! Especially if he is happy with it. Entering the November of his life. I hope he finds something to occupy his days. I’ve heard of such things, of course. No one in my family worked for someone who would make you retire. Most were ranchers for whom retirement wasn’t even an option. I’m not sure which is worse. 50 years is a long time. hopefully, it was worth it. Fifty years is very long… If I work until normal retirement it will be thirty years with one company. Redundancies is an area I am familiar with unfortunately. After 50 you are marked down as a mature worker anyway. Sad and touching story. You probably survive financially.. I think it’s the sense of being useful. A well-written reflection on something which can be very difficult for some people. For some it is… for other it’s a transition to something much better. Sad and tender – I especially loved the “November.” It really solidified the mood, with that one word I had the feelings of the season. November is just another word for depression. And I always thought it was February…. Nowadays it is a brass/silver plate here. Poignant. A plate with the name misspelled? My father in law was forced out of his job as a college lecture before he wanted to go – he’d gone to high up the pay scale, they wanted cut backs and brought in less well qualified, cheaper tutors to replace him. That feeling of redundancy, of feeling useless after so many years of having a purpose – it sent him into a depression that took a very long time for him to get over. Keith’s story is in the same vein. Great minds, and all that. Mine was a forced retirement. Actually, they said they discontinued my position. I didn’t get a trinket or remembrance. It’s disappointing after 31 years, but I’m not bitter. It was a great company to work for and I was able to save up for retirement and we’ll be fine. On the up side, it’s better to retire early while you still have your health than to wait and die shortly after quiting work. I have a few years… and hope to retire with enough of good writing ahead of me to make me happy to leave. Sometimes token gestures are just that. People around here used to clocks a reminder of a time well spent. Nowadays it’s usually some piece of crystal, no idea why. It is always different… we’ll have to see if I get anything or is forced to early retirement. When I retired my colleagues gave me a bathroom rug. A work of art, maybe, but stunning in its inadequacy after eleven years in that job. Indeed… I almost think that sometimes it’s better with no gift at all. Wonderful story about the feelings one experiences at retirement. I think for men it’s a bit more difficult. Although, I can hear my father’s saying, “I can’t wait to retire”, until he have to. Your father must have been very dedicated to his work and was proud to do it. Cheers to our fathers …. I’m sorry that your father didn’t enjoy his retirement. You did a wonderful job in capturing the sorrow of being set aside when forced to retire. Even retirement by choice, or because of health issues, as was the case for my father, is a difficult transition in life. Nicely written! I think the lack of purpose after retirement is hard… for women there has been so much purpose in the family but for men it has always been work… hopefully these things change. Such a poignant story. It must be awful to retire after so long and have your name spelt incorrectly – an indication of how much you mattered, or not. So good – I really feel for father and son and hope it wasn’t like this for your dad. Well told…you really captured the emotions of a moment like this. It seems to me retiring after 50 years would be like losing the vessel that holds us. A poetic, beautiful and sad story that made me wonder how I will feel one day. Beautifully written. That crystal cuts like a knife with the misspelling of his name. Retirement does have it ups and downs,Enjoyed. The feelings bled through your story. Well done.